This lesson will address the post-acute rehabilitation process of individuals with spinal cord injury. The lesson will discuss the process of aging with a spinal cord injury. An emphasis is placed on the importance of considering the aging process when generating a life care plan. 1. Listen to the audio lecture “Post Acute Rehab, Aging with SCI”. Click here for PDF notes of the lecture. This portion of Chapter 18 addresses several aspects that need to be taken into account when writing a life care plan for an individual with a spinal cord injury. Future needs are discussed, including levels of assistance that may be needed by an individual with a SCI. 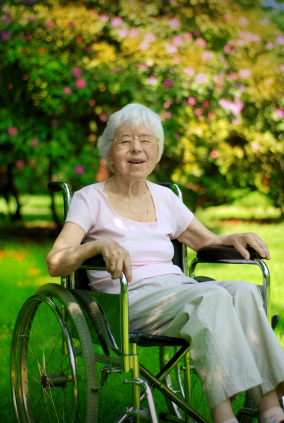 The impact that aging has on an individual with a SCI is explained. As an individual with a SCI ages, he/she is likely to experience some of the common changes associated with aging at a much earlier age than the rest of the population. Life expectancy, risk factors, and other general considerations are addressed. A case example is presented at the end of the chapter. 4. Read “Initial Rehabilitation Program” – Click here for Reading.